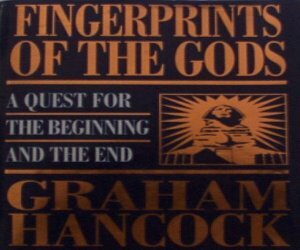 Fingerprints of the Gods: The Evidence of Earths Lost Civilization is intriguing theory written by Graham Hancock which summarizes the results of various sciences to confirm his idea. You will need to remember on various mathematical constants and other details if you really want to understand some theory explanations. But his pole shift hypothesis is proved in this book on many ways: from old religious books of various world religions, over the story of Atlantis to Sphinx in Egypt. Although this book is often called as pseudoscience and pseudo archaeology, I believe that every semi educated reader should read and understand this book in course to make own opinion on the theory and arguments given. SF disaster film 2012, directed by Roland Emmerich with John Cusack in main role, on Hollywood way presents the theory of Fingerprints of the Gods. For all non expert readers, the book is also great lesson on mythical Quetzalcoatl, pyramids of Giza and many more historical facts and as easy to read, it is good reading. anonymous: "review of book, good one." Solve this complex math: 1 + 9 = ?